Small and medium-sized businesses have on the whole escaped the rigorous tax investigations of HMRC in the past, but with HMRC under increasing pressure from the government to recover the tax, no business should make the mistake of thinking they are off limits when it comes to a tax investigation. Here Wellden Turnball Chartered Accountants highlight the procedure of being investigated by the HMRC. There are two types of tax investigation; a full investigation and an aspect investigation. Aspect enquiries focus on one area of your tax return, while a full investigation is more wide-ranging. Aspect enquiries can lead to a full enquiry. Many businesses will face routine investigations from time to time. Aspect enquiries will usually have been triggered by something HMRC spotted in your return. A COP 9 tax investigation is the most serious type and is where HMRC suspects serious tax evasion. Getting employee status wrong is a common mistake. When a company uses casual or freelance workers there can be confusion over employee status. You may see someone as self-employed, while HMRC may disagree. Always seek advice from your accountant or an employment specialist if you are unclear. To be able to deduct travel expenses from taxable income the travel needs to be wholly for business purposes. There are many grey areas with travel expenses so it is always advisable to consult your accountant about what is allowable and what isn’t. There are many mistakes SMEs make when it comes to tax investigations, both in their beliefs about them and in how they handle them once they find themselves under investigation. A general misconception SMEs make is that once a tax return has been submitted it’s out of the way. In fact, HMRC has up to 6 years after the end of a tax year to open an investigation, and can even go back as many as 20 years if it suspects tax evasion. During investigations, SMEs often don’t push back hard enough and just pay up (larger firms always negotiate a settlement). Your aim should be to negotiate a settlement as low as possible. Perhaps the biggest mistake SMEs make when they are under investigation by HMRC is not seeking advice from a specialist. Many SMEs think they can’t afford the fees of a specialist accountant. However, a specialist accountant’s fee is often offset by the amount of money they can save on the final tax bill. Tax audits and tax investigations can be extremely complex, and SMEs should always seek advice on how to deal with them. You are more likely to be investigated by HMRC if you have offshore accounts and/or income from the property. Receiving notification of a tax investigation from HMRC is a daunting prospect for any SME owner. First of all, don’t panic. There are many reasons why HMRC may choose to investigate your business. Random investigations aren’t based on the premise that your business has done anything wrong. There are many resources to find out more about how a tax investigation works. 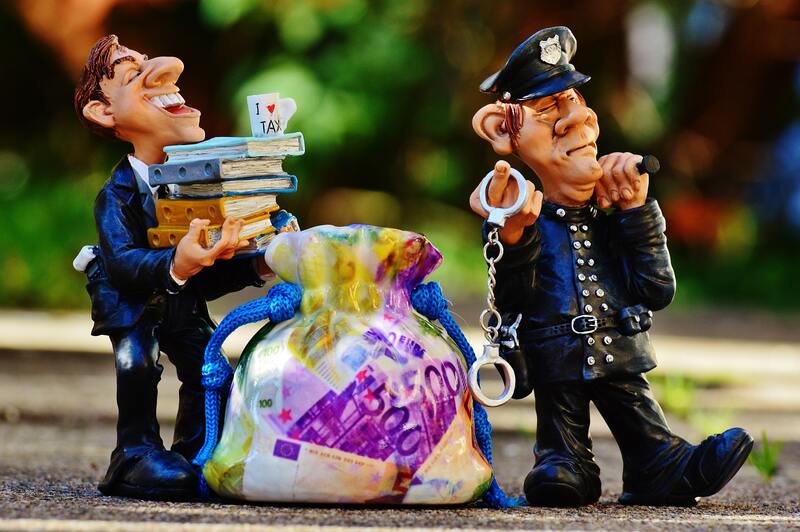 If you find your SME under investigation, contact your accountant for advice if you already have one, or seek the advice of a specialist tax accountant. Even a loosely worded reply to HMRC could trigger further cause for concern. A specialist tax accountant will be able to offer advice and deal with any correspondence. Never ignore the enquiry. Do your utmost to co-operate and meet the deadline given. Most tax investigation notifications will require a response within 30 days. You will need to respond in writing, answering any questions and providing the information requested by HMRC. Your response may be accepted as adequate or HMRC may ask more questions and request further information. Try to deal with the investigation in writing through your accountant, rather than opt for unaccompanied meetings with the tax inspector. Refer to The Tax Payers’ Charter to understand your rights. Also, see HMRC’s Litigation and Settlement Strategy for guidance on how HMRC tax investigators are expected to conduct themselves. During an enquiry, if you are asked to meet with an inspector, always ask for an agenda beforehand and ensure the inspector sticks to the agenda at the meeting. What happens if further tax is found to be due? The question of penalties will undoubtedly be raised if further tax is found to be due. HMRC can be heavy-handed with penalties. HMRC may try to argue that a careless mistake was deliberate or that an innocent mistake was actually a failure to take due care. A specialist tax accountant will be able to negotiate penalties on your behalf. More on small business tax and limited company accountants.